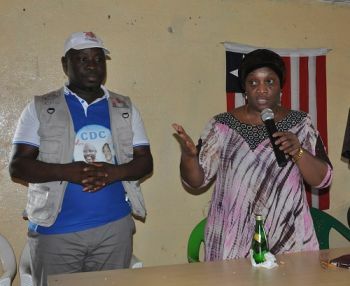 Monrovia, Liberia - Liberia’s Vice President Jewel Howard-Taylor says sustained investment in youth empowerment and employment remains an integral part of the Government’s Pro Poor Agenda for Development and Prosperity. Terming youth empowerment and employment as a must for sustainable development, Vice President Howard-Taylor said this Government is committed to highlighting issues that are affecting young people. She stressed the Administration’s determination to explore avenues to address such concerns for the improvement of the living conditions of youths in Liberia. Vice President Howard-Taylor, according to a release from the VP’s Office, said considering his passion for the empowerment and employment of the youths of Liberia, His Excellency President George Weah continues to drive the Administration with meaningful steps to increase support to the youth sector. She noted that the Government will stay the course of prioritizing investment in vocational and technical education and other livelihood programs to provide employment for the country’s growing youth population. Acknowledging the immense contributions and sacrifice that the youths of Liberia have made and continue to make in enhancing peace and development throughout the country, Vice President Howard-Taylor said the Government is giving serious attention to their empowerment and employment. 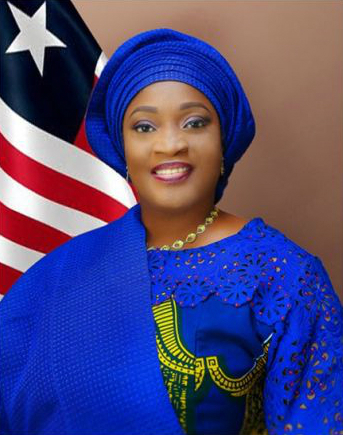 According to the release, VP Howard-Taylor made the statement when she spoke at the graduation program of the Lawana Elementary and Jr. High School over the weekend in Bong Mines, Fuamah District, BongCounty. Vice President Howard-Taylor at the same time encouraged parents to redouble their involvement in undertaking meaningful initiatives, such as farming, to increase their capacity to adequately support their children’s education. She explained that while Government and partners are working to create more opportunities and provide the enabling learning environment for students across the country, much more is expected of parents in increasing enrollment and strengthening retention in schools around the country. Meanwhile, Vice President Jewel Howard-Taylor is admonishing the people of Bong County to elect Candidate Josiah Marvin Cole of the Coalition for Democratic Candidate in the forthcoming senatorial by-election in Bong County. Vice President Howard-Taylor described Candidate Cole as a young man with the energy, passion and vision to effectively represent the people of Bong County in the Liberian Senate. She explained that Representative Cole demonstrated sound leadership ability when he served at the Gbarnga City Corporation as well as since he entered the House, championing the cause for meaningful development in the County. Citing Representative Cole’s achievements in the youth community, Vice President Howard-Taylor told the people of Bong County that Josiah Marvin Cole did effectively manage the Madam Suakoko Land Grant Scholarship for more than five years, ensuring that hundreds of Bong County citizens obtained higher education at the Cuttington University and other institutions. Addressing scores of citizens in the County over the weekend, VP Howard-Taylor entreated the people of Bong County to stand with the Coalition for Democratic Change to elect Josiah Marvin Cole for the forward match of their County. Vice President Taylor observed that there is no better person in the senatorial race to so adequately represent the people of Bong County at the national legislature than Josiah Marvin Cole. “I trust our partisans and other well-meaning residents of Bong County, and I know they are putting all their resources in this race as we work together to ensure that you become the next Senator of Bong County,” VP Howard-Taylor assured Candidate Cole. Vice President Howard-Taylor affirmed her belief that Marvin Cole, when elected as Senator of Bong County, will care about the welfare of the people of Bong County and closely work with the other two branches of government to foster development in the County. Vice President Howard-Taylor’s tour of Bong County was greeted with massive turnout in Fuamah, Salala, Sanoyea, Yellequelleh, Suakoko and Jorquelleh Districts as well as in the County administrative seat of Gbarnga City.